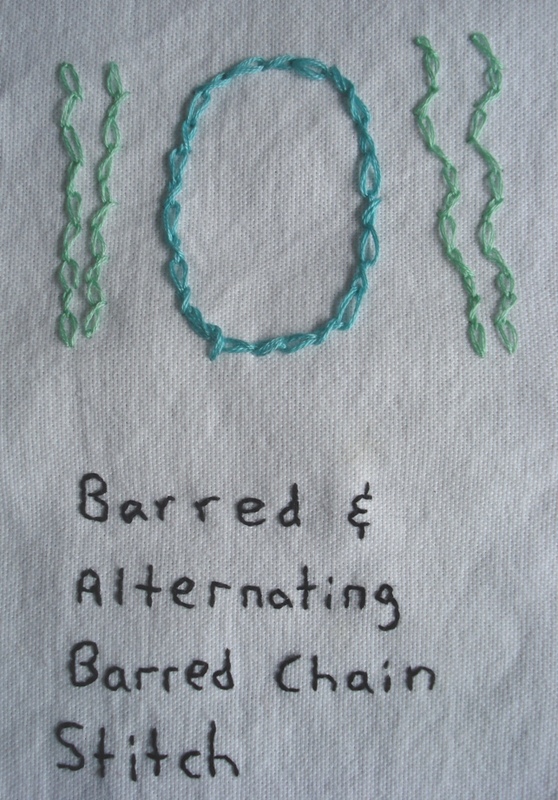 The stitch for week 12 of TAST is the Barred Chain and Alternating Barred Chain stitches. This stitch was not in my pocket stitch guide or Embroidery Stitch Bible. I struggled a little with the stitch but I am glad that I completed my sampler page. I love what you accomplished. Looking for you on Skype. Maybe one day soon.